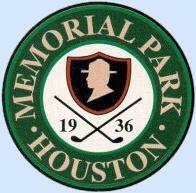 Memorial Park Golf Course is a municipal golf course located in Houston, Texas. The course originally opened in 1936 and was designed by John Bredemus, it features tifdwarf bermudagrass greens and bermudagrass fairways. The course consists of four Par 3's, 10 Par 4's and four Par 5's and plays to a maximum distance of 7305 yards with a course rating of 73.0 and a slope of 123 over 18 holes. Four sets of men's tees and a single set of ladies' tees create an enjoyable test of golf for players of all abilities. The nicest of the city courses but it gets way too much play and the play takes its toll. The greens are dry and rough and you are lucky to see your ball drop in the cup from any distance.